With sweeping vistas of the Rocky Mountains in its backyard and commanding views of turquoise lakes fed by nearby glaciers, Alberta is what the Canadian great outdoors is all about. With a plethora of national parks scattered around the southwestern part of the province there are endless hiking opportunities and great chances of glimpsing wildlife in their natural habitat. We flew into Calgary at the end of August to embark on a 12 day roadtrip across six national parks. Two of which are located in eastern British Columbia: Yoho and Kootenay, which are nestled right beside Banff and Jasper. Together these four national parks, along with three nearby provincial parks in British Columbia, form the Canadian Rocky Mountain Parks World Heritage Site. Even though Newfoundland is a part of Canada, with its charming and friendly culture and a more relaxed pace of life, you can’t help but feel like you are in an entirely different country. They even have their own time zone (an hour and a half ahead of Eastern Standard Time). Sure, the weather is predictably unpredictable and there are wind warnings on the regular, but the scenery out on The Rock is hauntingly breathtaking. Ontario is home to thousands of lakes, rivers, and ponds that collectively contain about one third of all the fresh water on the planet. 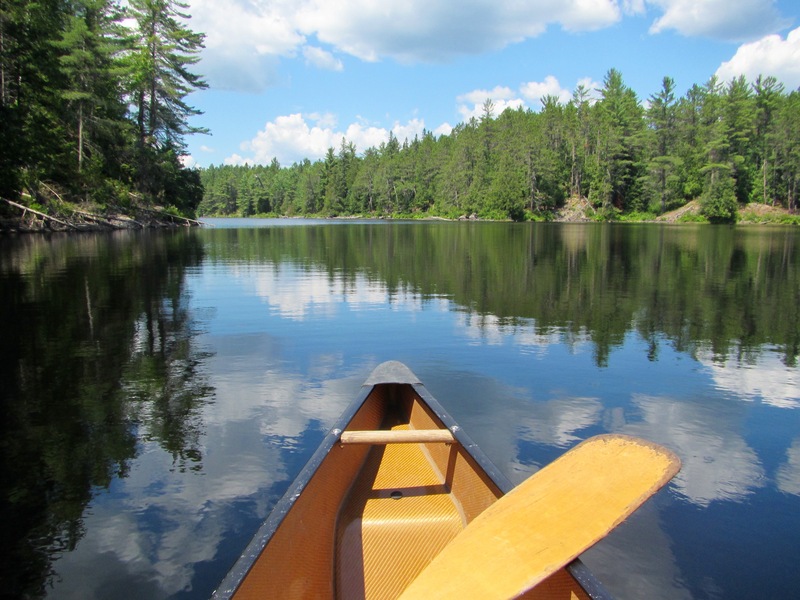 And with over 300 provincial parks scattered around the province there are countless adventures waiting to be had near and around these pristine waters in the great Canadian outdoors. And lucky for us it has been our home for the majority of our lives. With its European stye feel and traditional style poutine we were excited to brush up on our français and travel to the largest French speaking province in all of Canada. We visited for four days at the end of November. Sure, the temperature was a little on the chilly side. But the light layer of snow coupled with all the holiday decorations and lights transformed Montreal and Quebec into a magical winter wonderland. We’re a couple of Canadians who enjoy hiking, camping, cross-country skiing, diving, and spending as much time outdoors as we can. We hope our stories can help as you plan for your adventures.